The technical management of the domain name system is handled by ICANN. However, the registration of the TLDs are managed by ICANN accredited Internet registrars. A company can also confirm the availability of a domain name by searching a registrar's site or by using a 'WHOIS' search. WHOIS is an internet database that contains information on domain names, the domain registrars, registrants and the domain's Administrative and Technical contacts. By performing a WHOIS search, one can also confirm who registered a domain name and its expiration date. For registrations of a domain name in the ccTLDs, a company will need to contact the registration authority designated for each ccTLD. WIPO has set up a ccTLD database that provides useful guidance on how to register a cTLD. WIPO has established a Trademark Database Portal (http://ecommerce.wipo.int/databases/trademark/index.html) to assist in the domain name search. The UDRP (<https://www.icann.org/udrp/udrp-policy24oct99.htm>) sets out the legal framework for the resolution of disputes between a domain name registrant and a third party (i.e., a party other than the registrar) over the abusive registration and use of an Internet domain name. The essence of the UDRP is to enable anyone in the world file a domain name complaint concerning a gTLD or ccTLD using the UDRP Administrative Procedure. The complaint may be submitted to any accredited dispute resolution service provider accredited by ICANN. All ICANN accredited registrars that are authorized to register names in the gTLDs and the ccTLDs that have adopted the Policy have agreed to abide by and implement the UDRP Rules for those domains. Any person or entity wishing to register a domain name in the gTLDs in question is required to consent to the terms and conditions of the UDRP. According to the ICANN policy, a domain registrant must agree to be bound by the UDRP — they cannot get a domain name without agreeing to this. To effect this, a Dispute Resolution Policy clause is usually inserted in the domain name registration agreement stating that if the registration of the domain name is challenged by a third party, the registrant shall be subject to the provisions specified in the UDRP. Consequently, where a domain name offends the provisions of the UDRP Policy, such a domain name registration must be cancelled and the name transferred in favour of the person who possesses the registered trademark. Paragraph 3 (a) of the UDRP Rules states that any person or entity may initiate an administrative proceeding by submitting a complaint to any provider approved by ICANN. - The implementation of the Administrative Panel's decision by the registrar(s) concerned where there is a decision that the domain name(s) in question be cancelled or transferred. The importance of domain names cannot be emphasized enough in this era of e-commerce. 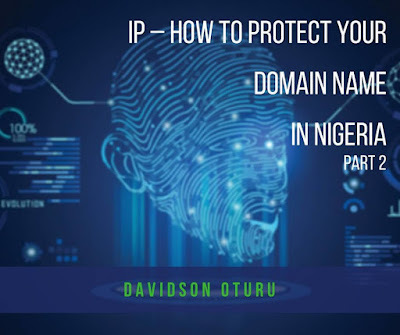 A protected domain name is indispensable for prominence, and profitability of a business like an internationally protected trademark or service mark. 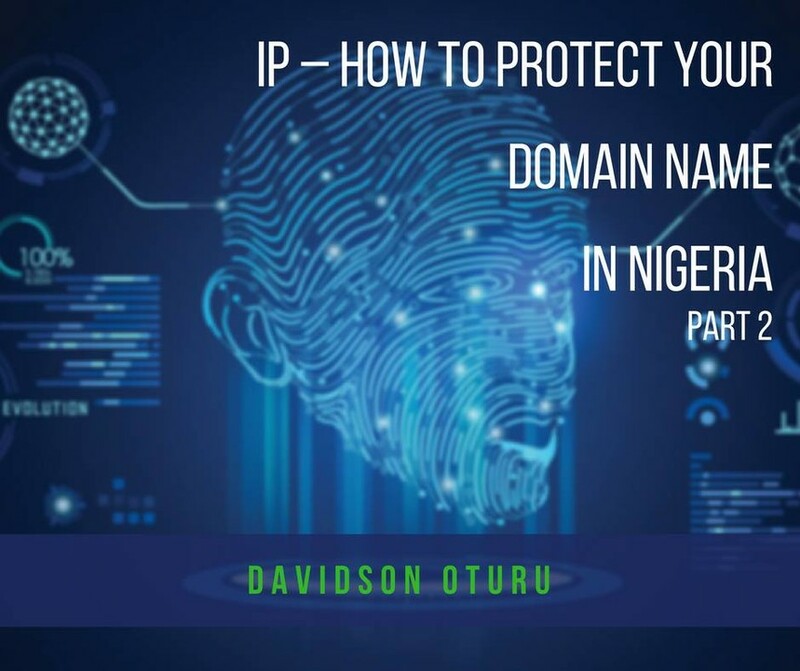 It is therefore necessary to protect ones domain name as a trademark and under the ICANN and WIPO procedure. · Trademark supports the value of a business while a domain name draws traffic to the business from any part of the world where there is access to the internet and the World Wide Web.